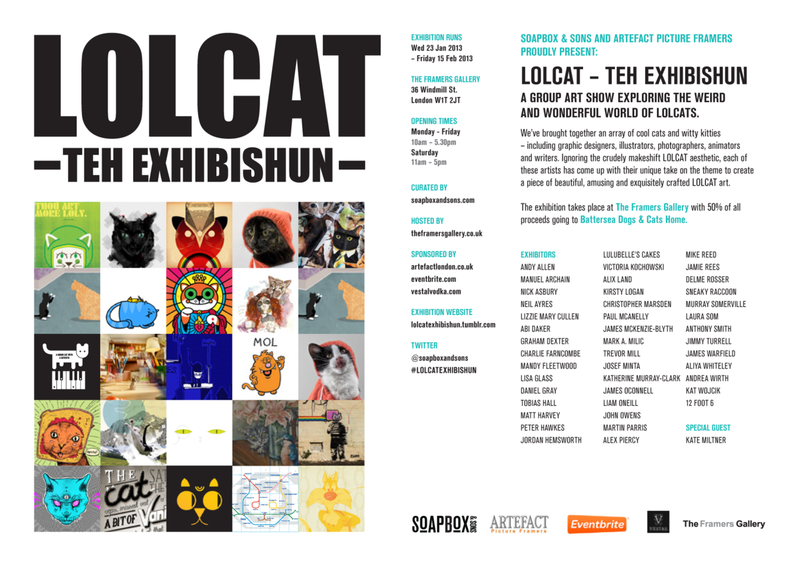 The interweb phenomenon that is the LOLCAT is entering the real world thanks to Soapbox & sons and Artefact Picture Framers. The exhibition is at the Framers Gallery and is free to enter but we urge you to dig deep to buy something as 50% of all proceeds going to Battersea Dogs & Cats Home. 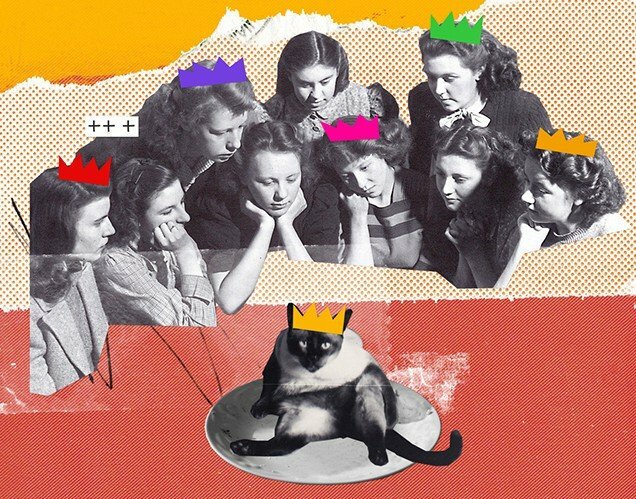 Ignoring the crudely makeshift LOLCAT aesthetic, a huge range of graphic designers, illustrators, photographers, animators, writers & MEME-lovers have come up with their unique take on the theme to create a piece of beautiful, amusing and exquisitely crafted LOLCAT art.